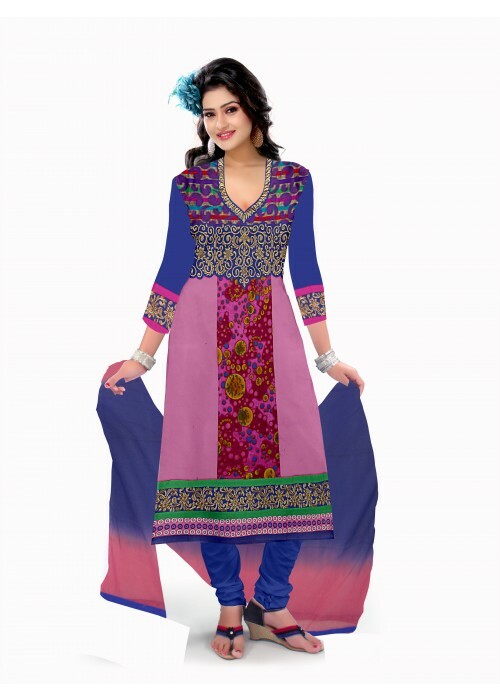 Cotton Pink and dark blue Multiwork Chudidar Un-Stitched Dress Material. 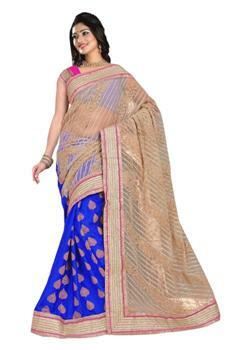 It is adorned with the rich embroidery, thread and resham work. The sleeves are also adorned with heavy border that gives you most elegant look. It is teamed up with double shaded dupatta.